Jaques Samuel Pianos, London, UK. Early booking will secure your place on this unique journey of discovery. Chilean maestro, Claudio Arrau invited Australian born Ruth Nye to study with him in New York, after he heard her play in Australia. She studied with him extensively over a period of 30 years, up until his death in 1991. Ruth Nye had a distinguished career as a concert pianist, before turning her attention to teaching. She built a widespread reputation as one of the world's foremost piano teachers and is currently on the faculty of the Yehudi Menuhin School in Surrey, UK and the Royal College of Music in London, UK. She holds master classes and lectures throughout the world. Ruth Nye was appointed a Member of the Order of the British Empire (MBE) in the 2007 Queen's Birthday Honours list. In 2008 a Fellowship of the Royal College of Music was conferred on her by HRH The Prince of Wales. Lingua Musica has been very honoured to have Ruth Nye join us on tour on many occasions in order to present some lecture/ piano recitals. With her great knowledge combined with a charming personality, she has delighted us all on many occassions. **Early deposit is necessary in order to secure European flights and Performance tickets. - On-Tour Informative talks, plus a comprehensive Tour Handbook containing information on orchestras, soloists and conductors, and detailed programme notes for all major performances. A highlight of the London days will be guaranteed good seats at the Royal Albert Hall for two PROM CONCERTS. This very special annual series, started by Sir Henry Wood has grown so greatly in importance, with the world's top performers taking part that tickets are like gold and sell out rapidly. We will fly from London to the colourful and delightful "small city" of LJUBLJANA, always a great favourite of Lingua Musica participants over many years. Here we have everything a larger city has and in abundance. A university city, a music city, a city of the great architecture of its own Josef Plecnik, a city of utter charm on either side of its willow- lined little river and unique bridges, a city of flowers and life and cafes as well as great music venues. 2012 sees the 60th birthday of Ljubljana's renowned annual Summer Music Festival and we will be privileged participants. Our most important concert here will be the performance of the great Mariinsky Theatre Orchestra under the baton of celebrity conductor, VALERY GERGIEV. Also we will enjoy a truly beautiful chamber music performance by the prize-winning AMAEL PIANO TRIO. arranged a discussion over luncheon with Volodja and several of his colleagues. Volodja is Head of Strings at the Academy of Slovenia and is also much in demand as a performer on the European, UK and US circuits. He is also great fun! We have much lined up for Ljubljana, but also, co-incidentally, it is time for the nearby MARIBOR FESTIVAL which is of great interest to Australian visitors. "Our" Richard Tognetti has been Director of this forward-looking festival for the past five years after signing a contract for six , so 2012 will be his last in this role together with the ACO. Maribor is a place of magic in so many different ways ... gorgeous churches, squares... in many ways like Ljubljana. We have planned a special luncheon with musical personalites, including Prof Balzalorsky, who studied with the same master in Cologne as Richard Tognetti. At this luncheon we also celebrate LINGUA MUSICA's 25th Anniversary! VIENNA very naturally figures largely in our tour arrangements ... it is after all the city and surrounds most associated with our great figure of the Enlightenment. We also visit PRAGUE and the nearby spa,TEPLICE, both of which have intriguing connections with Beethoven. Bonn is a city of great beauty, full of life and cafes, as you will discover with your well informed guide. Among other pursuits we will also attend three concerts of the famous BEETHOVENFEST, in which many internationally renowned musicians take part. Do join us for celebration of our SILVER ANNIVERSARY! Our tour commences in London, where we will we staying in the ROYAL LANCASTER HOTEL. Meet fellow travellers in the later afternoon at our first tour meeting with Roma Randles, over cocktails and canapés, followed by a Welcome Dinner in one of the hotel's restaurants. A day of discovery London. In our comfortable private minibuses, we will visit some less well-known cultural highlights as well as a few of the widely known ones. Lunch will be included in a delightful setting. Today we will introduce you to a lesser known Beethoven, a rather more complex personality which emerged from an uncompromising start in life, but perhaps even more loveable because of it. Our discussions with music personalities will be accompanied by performances which indeed we will know, and all this at a very musically significant London venue. Again lunch will be included. This morning we from London to LJUBLJANA with Adria Airways. The highly renowned Ljubljana Summer Music Festival is celebrating its Sixtieth Anniversary in 2012 and we will be privileged participants. We will attend a very special concert of the Russian Mariinsky Theatre Orchestra under the baton of the great VALERY GERGIEV. We will also enjoy a performance of Beethoven’s Archduke Trio, among other works, from the celebrated AMAEL PIANO TRIO. Ljubljana is my favourite small city in all Europe, having as it does, everything a much larger one has and in abundance. Its lovely architecture from its own famed Joseph Plecnik, its little willow-lined river bordered by cafes, bookstores and art, its historic bridges, its churches, its delightful streets, its impressive concert and art venues. This university city is bursting with vitality and culture. My very good friend, Prof. Volodja Balzalorsky, Head of Strings at the University of Slovenia, will be an important part of our plans here. Volodja trained in Cologne with the same maestro as “our” Richard Tognetti and is in much demand as a violinist all over Europe, London and the States. He is also great fun! Our base in Ljubljana, as always, will be the HOTEL GRAND UNION. Square was also home of Gustav Mahler during 1881 and 1882. 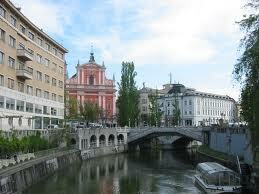 From Prešeren Square we will cross Ljubljana's many historic bridges as we meander through its wonderful old quarter. Dinner this evening in an excellent French restaurant with a Guest Speaker. Today we will visit BLED. Situated in the Julian Alps this Alpine spa town is renowned for the island in the centre of Lake Bled. This small island is home to the Assumption of Mary Pilgrimage Church, built on the site of a temple consecrated to Živa, the Slavic goddess of love and fertility. We will also visit the medieval Bled Castle, now a museum. Lunch will be included. A free day for independent exploration. However at a time to be announced the Amael Piano Trio will perform a program including Beethoven's Archduke Trio. Daytime arrangements to be announced. The Russian Mariinski Theatre Orchestra under the baton of the acclaimed Valery Gerviev. Cultural Capital. The ACO and RICHARD TOGNETTI are leaders here in 2012. Richard Tognetti took on the Directorship of the Maribor Fesival in 2007 and this will be his final year in that role. On arrival in Maribor there will be a conducted tour of the highlights of the city before settling at our hotel for our one night stay...the centrally situated new HOTEL CITY MARIBOR. September 5th also marks the 25th anniversary of the founding of Lingua Musica and you will enjoy a celebratory luncheon in an atmospheric restaurant with some very distinguished guests. After the ACO evening concert ( programme below ) we will be guests of the festival management at a reception, during which you will be able to mix with visiting musicians and music-lovers as well as, of course, the members of the ACO. Today you will also personally meet RICHARD TOGNETTI and the acclaimed and much loved American soprano, DAWN UPSHAW. As we return to our hotel late this evening, I am sure we will all agree it has been a very full and very memorable day. Dawn Upshaw . An orchestral arrangement. Robert Schumann ( arr C. Jordan ): Mondnacht in C# minor no 5, Op 39 ( Sop. Dawn Upshaw) arr forString Orchestra. This morning we set off for VIENNA where we will arrive in time for lunch at an historic inn very close to our hotel, THE WANDL, where Lingua Musica members are always welcomed like family. During our days here, both within the city and on trips around it, we will visit and discover more about the region and the great man forever associated with it. Vienna and Music have always been importantly linked. Mozart, Beethoven,Schubert, Brahms, Mahler are only some of the greats for whom this city was the only reasonable place in which to live. Its history is indeed a splendid one. 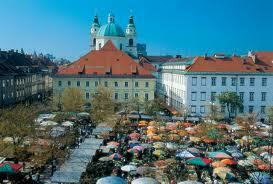 With its Roman heritage it was once placed at the very heart of the Austro-Hungarian Empire. Its Baroque style superceded the Gothic followed by the architectural developments of later eras. VIENNA, of all cities, is so well associated with BEETHOVEN. Both within the city and on excursions we visit all those places forever linked to the master. In addition, with your excellent guides, you will visit all those places for which Vienna is famous and naturally an opera and a concert. We will attend one Opera at the great Vienna Opera House and one major concert . Details will be published once they are available. Our last morning in VIENNA will be a free one, but being Sunday, a visit to one of the great Vienna churches for example St Charles or St Stephen's Cathedral closeby will be a possibility. The music is sure to be wonderful. More details when available. (NB. The Vienna Boys' Choir will be on annual vacation). In the afternoon we transfer for a 3 hour first class train journey to PRAGUE. Dinner will be served in our hotel restaurant and very possibly this evening we will attend the opera. (Details tba). In PRAGUE we stay in the marvellous HOTEL JALTA right on Wenceslaus Square. 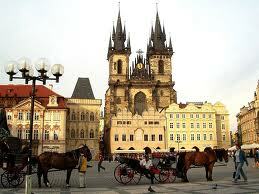 Prague is a beautiful and immensely interesting city with many cultural highlights, as you will discover. A morning guided tour with our very well informed guide who knows well and loves her city. Afternoon will be free for personal exploration. Today we enjoy a full day’s excursion to the lovely resort town of TEPLICE where we will have time for lunch and a guided tour. It is here that Beethoven once spent some weeks of recuperation ( it was very popular with aristocratic figures as well...not that this would have influenced our man at all). It was here that he met Goethe also on holiday, and here that it has been proven beyond all doubt that the famous letter “To My Dearly Beloved” was written. ("TO WHOM" is a topic we will explore on tour!) It was also here that Beethoven wrote his glorious Seventh Symphony. Your evening will be your own, (unless this is also the evening for our opera.) Details to be published as they become available. of the musicians also stay. What a beautiful and entirely appropriate city in which to end our REDISCOVERY of BEETHOVEN tour! After arrival your time will be your own for private wandering in this picturesque small city with its many small squares, cafes, bookshops etc till we gather in the hotel foyer before dinner at a restaurant tba. It is in BONN that Beethoven was born in 1770 and where he spent his childhood and teenage years. It is a remarkably interesting story and we will investigate more fully here what we have already addressed in London and elsewhere...the influences which contributed to the Beethoven the world celebrates ... some of them extraordinary. Bonn was the capital of Western Germany before Berlin and is an attractive , smaller and invitingly comfortable city, as you will discover with your very well informed guide. Here also we will attend THREE performances of the highly acclaimed annual BEETHOVENFEST in which great international artists always participate. Each year a different social and political aspect associated with Beethoven and his contemporaries is explored. 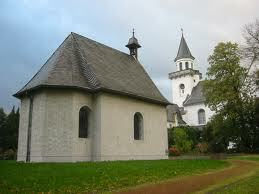 BONN is full of references to the great man and you will be taken to see many and also have time for private wandering. One of our performances will actually be in the Beethoven House. At 9am you will be collected for an interestng guided walk in the footsteps of Beethoven, which will finish at the Beethovenhaus, continuing with an interior visit and ending with a piano recital in the hall. The rest of the day will be yours for independent exploration. Today we will take a delightful Rhine River cruise as well as ascending to a nearby mountain peak from where the views are amazing. Luncheon will be included today ... this will actually be our final one together. Details tba. Our wonderful tour concludes after breakfast. I think we will all agree that we now have a much closer acquaintance with this great man of the Enlightenment ... a brilliant personality derived from so many different influences and who had encountered every possible adversity in life, who experienced such enormous frustration, pain and disappointment, who sometimes closed himself off entirely, but at the same time, was a man who revealed to the world such joy and such thankfulness. We are glad to have concluded our tour in a city so closely tied to this genius. If you would like to be advised as updated information is posted to our website, why not join our Mailing List, or send us an email.